Android toting users of Microsoft’s Outlook.com email service rejoice, for today is the day that your prayers have been answered, with the Redmond firm launching a bespoke Android app, bringing Outlook.com email to the Google Play Store. Outlook.com may be the replacement for the much hated Hotmail, but by all accounts Microsoft has managed to throw off some of the stigma of the earlier product by putting together an email service that can at least begin to compete with Google’s Gmail. With that success still very fresh, Microsoft is keen to capitalize on the ground it has already made up by pushing forward. Just how successful has Outlook.com been? Today the company announced that the service has broken the 25 million user mark, and to celebrate, Microsoft is pushing some updates to the web experience as well as releasing a new Android app to go along with it. The Android app is clearly a play to get users of Google’s platform away from the incumbent Gmail service, and given the fact that all Android phones ask users to enter their Gmail credentials, that may not be all that easy. 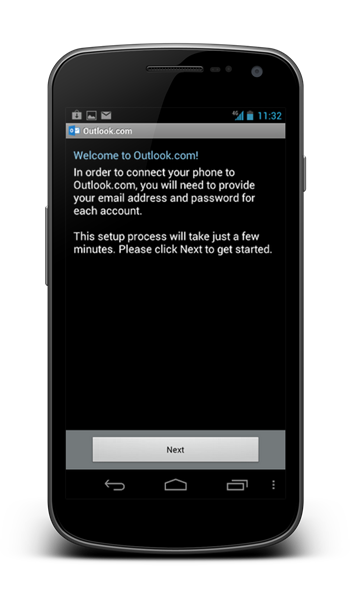 With 25 million active users now taking to Outlook.com for their email, and a new Android app released, how long before an iOS solution is also made available? More importantly, and perhaps tellingly, there is yet to be any news of a Windows Phone 8 version of the app that aims make Outlook.com more enticing for mobile users. The rebranded Outlook.com was launched back in July, with many claiming that it would put pressure on Google to continue to improve its own Gmail service. 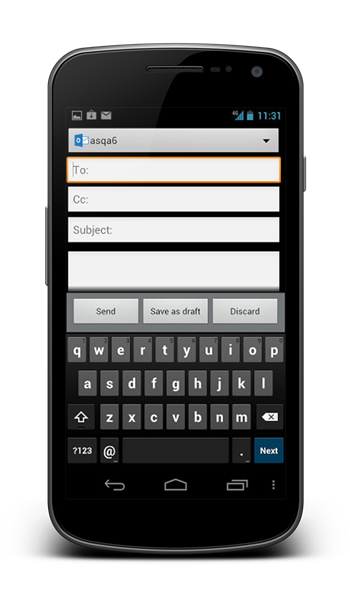 With Gmail proving ever popular amongst those on the lookout for a free email service that is easily used on just about every platform, Microsoft’s new Android app could be the first step in Microsoft’s journey to really go toe-to-toe with the search giant. Hotmail had long been something of a laughing stock for many, with the service mainly used to send SPAM emails and the like. The move to the Outlook.com moniker along with a complete redesign appear to be helping to eradicate the bad memories left by the aged Hotmail.